You can search transactions easily in the upper right hand corner of the account register. You can also search across accounts by selecting all accounts and using the search box there. To activate search, just start typing in the search box. YNAB will show you some options based on what you typed. 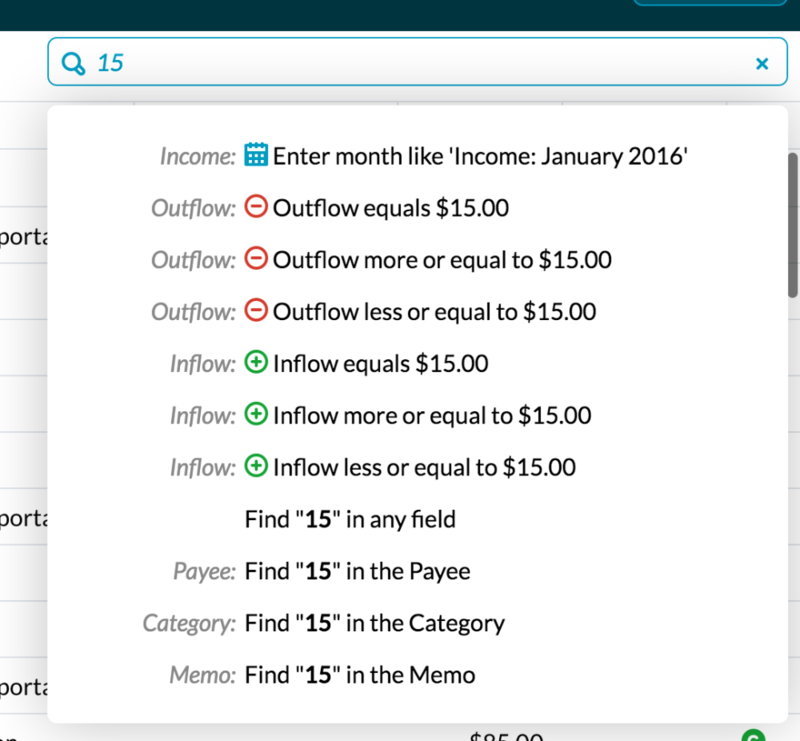 Type a number and YNAB will show you options that may match your search! 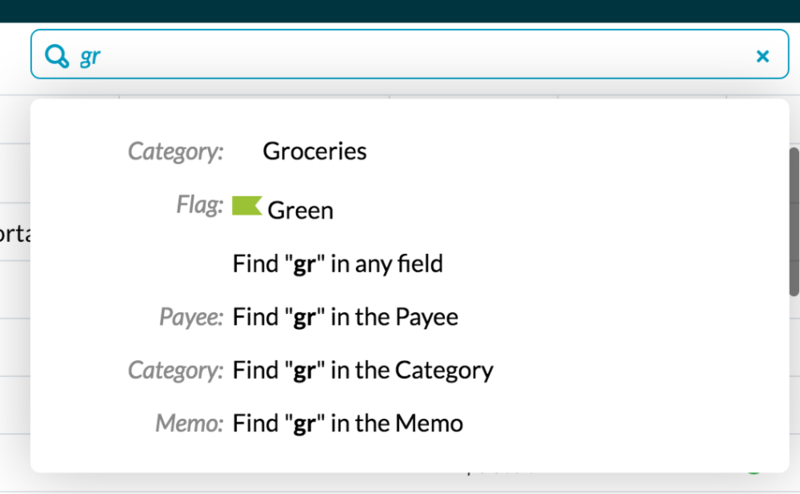 You can also search with multiple criteria. For example, maybe you need to know all the times you ate out and it cost more than $30. Click the x in the search box to clear a search, or you can click “clear search” at the bottom of the search results.